Very nice. Needs some time to open up, but it's well worth the wait. Flowery, with a pronounced fruity side - oranges, bananas, peach, mango. Tons of honey, chocolate, Christmas cake. Also some mushrooms, soil. Sweet, round, nicely balanced. Honey, toffee, milk chocolate and coffee beans dominate, but there is a bice fruitiness to it too. Rather dry, bitterish, on coffee and spices. a very complex and interesting dram. 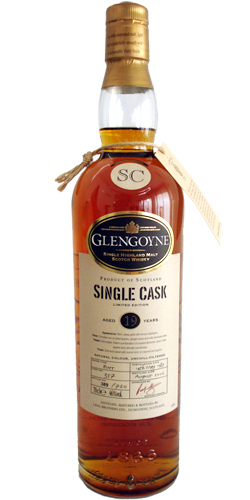 Fruity and fresh: oranges, raisins also caramel, honey and a bit of oak. Very sweet and after a few seconds so much honey it is like having pure honey in your mouth. Incredible! and spicy and ends honeysweet.